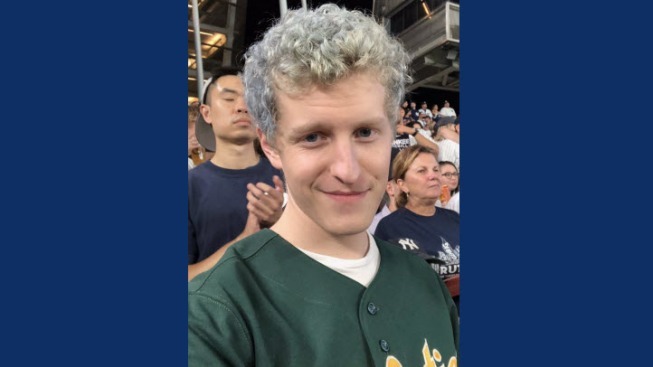 The Oakland Athletics are sending fan John Spencer a care package after he was seen in video being doused with beer during the AL Wild Care playoff game at Yankee Stadium. Viral video circulating on social media shows an Oakland Athletics fan doused with beer during Wednesday's American League Wild Card playoff game at Yankee stadium. The A's fan, who was wearing a green and gold team jersey, is also seen being pelted with a cup. The Oakland A's tracked down the fan, John Spencer, and announced on Twitter they will be sending him a care package "that doesn't smell like beer" and plan to host him at a game. Do you know this A’s fan? We’d like to find him, hook him up with some new Oakland A’s gear that doesn’t smell like beer. Much love from Hero-Town, buddy.